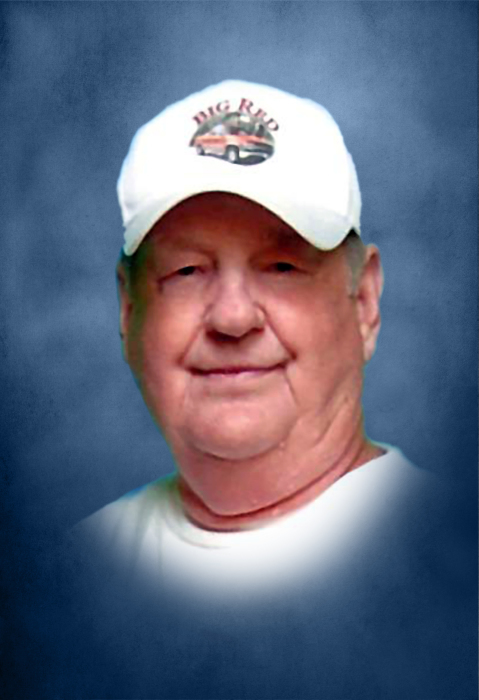 Carlon Ras Melton age 77 of Smithville, passed away Thursday morning, April 12, 2018 at NHC HealthCare Center in Smithville. He was born August 18, 1940 to his parents, the late Richard and Ruth West Melton. In addition to his parents, he was preceded in death by his wife, Marie Melton; 3 step-daughters, Darice Cantrell, Fran Melton and Kathy Martin; 2 brothers, Harlon and James Melton; 2 sisters, Anna Belle "Ann" Young and Ella Rich. Carlon was a member of the Smithville Church of God and retired from Carrier. He is survived by his wife, Mainell Melton of Smithville; sons, Gentry (Zarita) Melton of Bell Buckle, Keith (Rachel) Melton of Smithville, Josh Isaac Melton of Smithville; step-children, Anita (Donald) Byrge of Sparta, Doyle (Angie) Melton of Walling, Tommy Melton of Smithville, Gina (Craig) Vaughn of Smithville; grandchildren, Preston Melton, Kelby Melton, Olivia Drennan, Dalton Vaughn, Conner Vaughn, Cynthia (Corey) Davis, Matthew (Jessica) Byrge, Steven Melton, Amanda Melton, Ricky Melton, Nick Byrge and Kaylee Byrge; great-grandchildren, Aleka (Kyle) Rice and Maylee Curtis; sister, Eva (Dennis) Roller of Dowelltown; sister-in-law, Gracie Bratcher of Smithville; aunt, Jo Smithson of McMinnville; several nieces and nephews also survive. Funeral services celebrating Carlon's life will be conducted 2:PM Saturday, April 14, 2018 at the Smithville Church of God with Bros. Chris Moore and Graden Kirksey officiating and interment will follow in DeKalb Memorial Gardens. Visitation with the family will be on Friday 11:AM until 8:PM at DeKalb Funeral Chapel and on Saturday 10:AM until the time of the service at 2:PM at the Smithville Church of God. DeKalb Funeral Chapel is in charge of the arrangements.